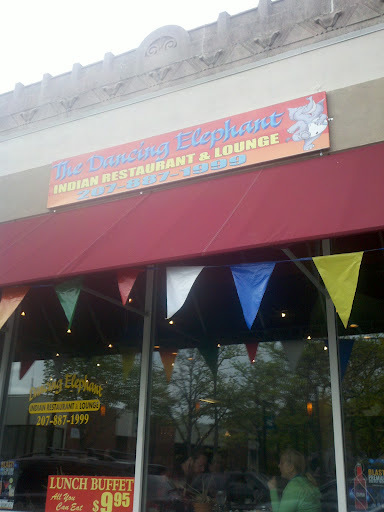 On Wednesday, I could no longer resist the great things I’d been hearing about Westbrook’s newest restaurant, The Dancing Elephant, 855 Main Street, Westbrook. 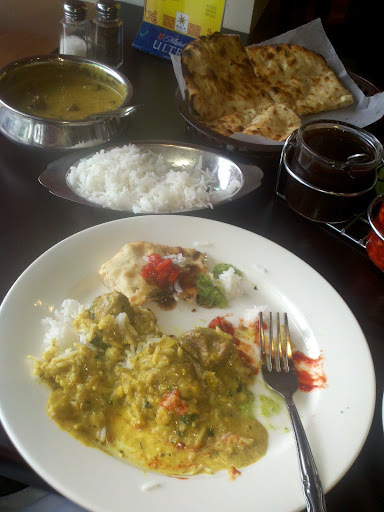 The Portland Press Herald’s review, entitled “Dancing Elephant’s Indian Food Like Heaven on Earth” , is recommended reading if you are thinking of making the trip. 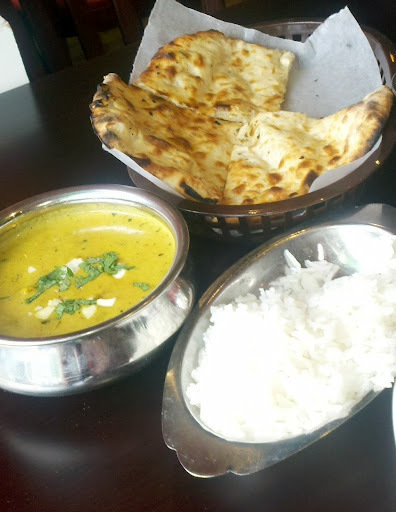 Shonna Milliken Humphrey has written an informative review and knows her Indian food. I arrived at 4:30 when the Dancing Elephant was just opening for dinner. The space is so elegant and well-designed to evoke a sense of comfort and refuge from the busy street. I was greeted by the friendly owner, Iqbal Hossain, and his radiant and sweet daughter Onika brought chutney over to my table and shyly agreed to this photo. There are a variety of seating arrangements for pleasing window-eaters as well as private booth people. 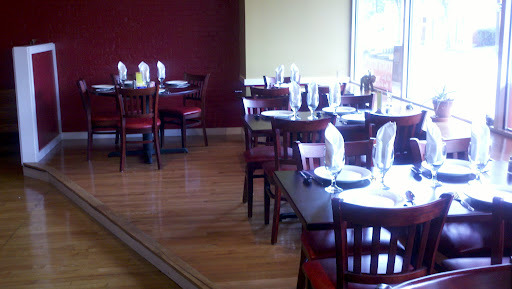 The maroon walls and chair coverings harmonized wonderfully with the wood of the tables, chairs, and floors. A sunny and elegant space. 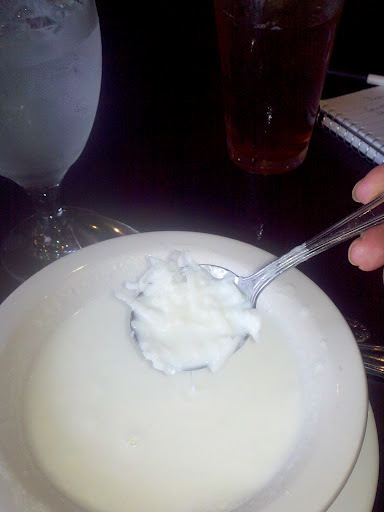 Coconut soup loaded with tasty shredded coconut. The main course, lamb korma, was beautifully balanced in a velvety sauce that, at medium, was the perfect level of heat for me. Naturally the rice was cooked to perfection. Right on Route One, in an unlikely-looking little shopping plaza, is a store that has everything you need for Indian cooking, entertainment, body, and soul. Clean, colorful, organized, and flavorful! 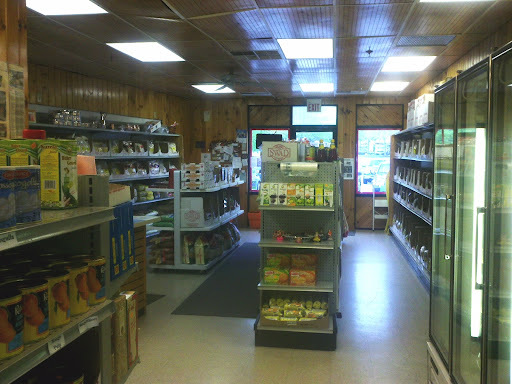 Just walking into the store is therapeutic–the sweet aroma of incense, the radiant smile of Jaya Punjabi, the owner, the tempting treats for the eyes and the tastebuds transport the shopper to an exotic and uplifting mood. 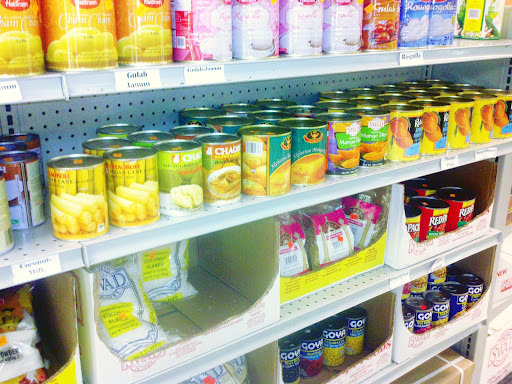 Aisles of Indian specialties at Masala Mahal. You can purchase premium, reasonably priced and authentic ingredients for any Indian recipe you would care to make, and there is also a wonderful supply of ready-made frozen Indian specialties that are AMAZING and far, far better than the selections in the “exotic” or “healthfood” freezer in one of the large supermarkets. All of the wonderful Indian breads are available in frozen form and I can attest to their tastiness and “homemade flavor” and texture when baked. The sweets are exotic, varied, and delicious! 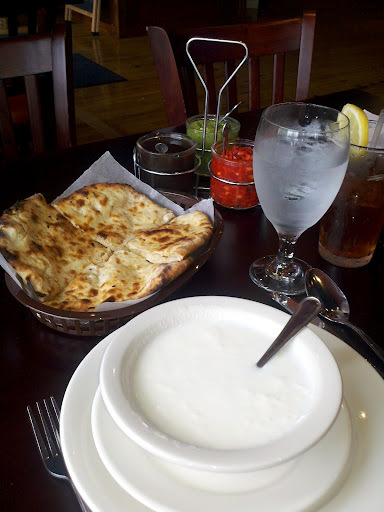 Masala Mahal is at 798 Main Street, South Portland, ME. Do visit soon and discover this wonderful Indian treasure for yourself! 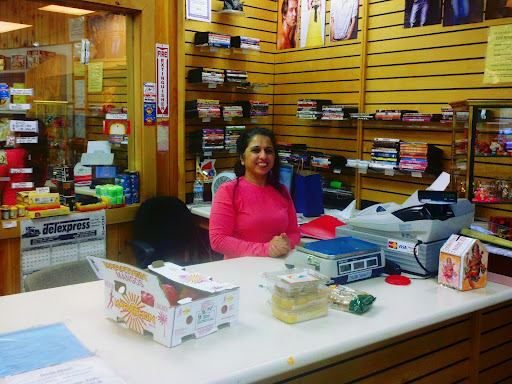 The owner is so friendly and knowledgeable, and she keeps a wonderful selection of Bollywood films, Saris, incense, beauty products, and jewelry in addition to the amazing food.